The latest Confidence Index, published by the National Association of REALTORS® (NAR), found that more home buyers are paying cash – 33 percent in the first quarter of 2014. Usually when that number goes up, it’s because the number of distressed home sales has gone up. But in this case, the number of distressed home sales has actually gone down, a fact that has economists puzzled. The baby-boom generation, and its accumulated equity, is retiring and trading down. Individual investors and purchasers of second or vacation homes usually pay in cash. Foreign buyers typically pay cash. Are you thinking about changing up your window treatments? Why not make them more energy-efficient and save a little money while you’re at it? The U.S. Department of Energy (DOE) states that window shades can be one of the simplest and most effective window treatments for saving energy. Dual shades that are highly reflective (white) on one side and heat-absorbing (dark) on the other can be reversed with the seasons. Drapes can also be effective in any season, depending on fabric type and color. In warm seasons, blinds and high-reflectivity film can reduce heat gain. The DOE estimates that, used correctly, blinds can reduce heat gain by as much as 45 percent. However, blinds aren’t that efficient at keeping out the cold, and film reflects sunlight regardless of the season, so these options are best for warmer climates. For exterior changes, your best bets are awnings or overhangs. Overhangs can shade south-facing windows in the summer and, if oriented correctly, still allow sunlight in during the winter. Awnings can be quite effective in the summer, reducing solar heat gain by up to 77 percent. Plus, they add some personality and curb appeal to your home. Tip: The key to any window treatment’s effectiveness in conserving energy is proper installation, so be sure to do your research. Are you looking for a different way to pay your mortgage? Maybe your payment is eating up all of one of your bimonthly paychecks and you’d like to spread it out. Or maybe you want to pay it off earlier. You have several options for making payments, either involving your lender or on your own. Some lenders will set up bimonthly or biweekly payment plans for you. Paying bimonthly just splits your monthly payment in half, and you pay it twice a month. This can take the burden off your whole monthly payment coming out of one paycheck. Paying biweekly involves making half of your monthly payment every two weeks, which over the course of a year adds up to an additional monthly payment made (26 payments biweekly vs. 24 payments bimonthly). This speeds up the rate at which you pay off the loan, resulting in years being taken off the term. The drawback to paying biweekly is that most lenders charge extra fees. If you like the idea of shortening your term but don’t want to pay extra, you can do it yourself by changing the amount you pay each month. Add an extra 1/12 of your monthly payment each month, and at the end of the year you will have made the equivalent of 13 monthly payments. Note: Anytime you pay an amount that exceeds your monthly payment, be sure to indicate to your lender that you want the additional money to go toward the principal. Getting ready for bed used to entail walking from room to room, shutting off lights and electronics, locking doors, and setting alarms. But increasingly, this process is being reduced to merely the press of a button. Thanks to the popularity of smartphones and the widespread usage of broadband Internet, the market for home automation is taking off. Receive an alert on your phone when a door is opened. Open the garage door to allow a package delivery. Turn on the lights before you get home at night. Adjust the thermostat so the inside temperature is comfortable when you get home. Make sure the kids locked up before they left for school. A 2014 Allied Market Research report estimated that the market for home and building automation would grow nearly 30 percent per year – taking it from $4.8 billion in 2012 to $35.3 billion in 2020. So whether you are ready or not, the smart home is on its way to a neighborhood near you. 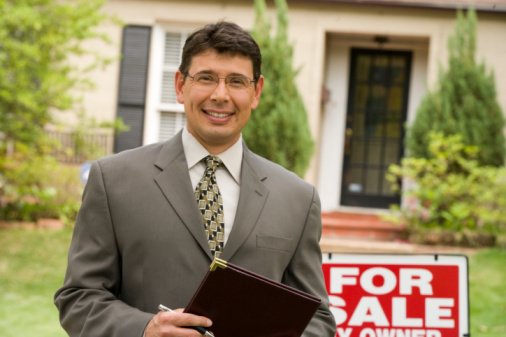 Whether you’re buying or selling a home, you’ll probably work with a real estate professional during the transaction. If you’re a seller, the REALTOR® that you work with will offer expert advice about the community and competition, provide marketing and advertising, and handle schedules for all the transactions that must occur. For buyers, the agent will help them identify properties that fit their needs, handle negotiations and also help with the paperwork and scheduling. For all that they do, agents are paid by commission, rather than on an hourly rate. The commission they receive is based on the sale price and only after the completion of the sale. If they do not sell the home, or if they are unable to locate a home for a buyer, they aren’t paid. The typical commission is about 6 percent of the sale price, and it is usually split between the buyer’s agent and the listing agent. The commission percentage that the seller agrees to pay is negotiable. The fee for the transaction is subtracted from the proceeds of the sale. It’s important to note that the fee comes out of the cost of the house and is not tacked on in addition to the sale price. It’s well documented that staging your home for a sale helps you sell it quicker and for more money. It helps the buyer imagine what their stuff would look like in their new home. Many homeowners forget that the garage is an extension of the home and use it as a storage space for all their clutter when getting ready for a sale. That’s a big mistake. The garage is an important amenity. Home buyers like the room for storing their stuff. So when staging the home, make sure to stage the garage so they can see the potential in it, whether they want to fill it with shelves for storage, put cars in it, use it as a shop area, or a man cave. Get rid of all that extra stuff that you don’t use anymore, including the things from inside the home, and have a garage sale. Use heavy-duty hooks to hang larger items that are taking up space. If you have cabinets, shelves, or storage systems, organize everything in them. Get everything off the floor and into cabinets, shelves, or bins. Put tools away in drawers or cabinets or hang them on a pegboard. Make sure all flammable items, tools, and chemicals are stored correctly. Dust the walls and corners, just like you would the rest of the house. If the walls don’t come clean after scouring, they need a fresh coat of paint. Clean the garage floor. Attack any stains and get rid of them. Like the walls, if the floor doesn’t look great after a good scrubbing, consider painting and sealing it or adding a floor covering. Don’t forget the garage door! Make sure it’s clean and free of scuffs and marks. A fresh coat of paint will do wonders to increase the curb appeal of your home. If it doesn’t already have one, install a smoke detector in your garage. Check the lighting and replace all bulbs. If it’s still dim, consider adding lights. Make sure your garage door opener is working properly, along with all the extra functions, including the automatic light, automatic reverse, emergency release and wall control panel. Tell your REALTOR® about any unique features, workbench, or extra storage space in the garage so they can be pointed out to potential buyers. Making sure your garage is clean, organized and in good repair sets the stage for a good first impression. It may not be a deal breaker, but if a home buyer is on the fence about making an offer, it can be the small difference that tips the odds in your favor. On the surface, selling your own home seems like a good idea. After all, who knows your home better than you? This is known in the real estate industry as FSBO, or For Sale By Owner. The biggest advantage of selling your home yourself is that you won’t pay a commission to a REALTOR®. You also have complete control of the transaction. You don’t have to rely on anyone else. You schedule the showings, do the marketing, answer inquiries, etc. First and foremost is experience. Most buyers choose to work with a buyers’ agent whose job it is to get a home at the best possible price for the client. As a rule, they are good at negotiation. The possibility exists that you could sell your home for less money, and you could leave yourself open to potential legal problems. If you do choose to go the FSBO route, have an experienced real estate attorney examine the contract. If you sell your home, you may end up selling it for less than you should. Real estate agents hire appraisers whose job it is to find things wrong with your home. You don’t have access to all of the data that real estate agents do – including sale prices of comparable homes, the prices other homes in the area are listing for, etc. Although it seems like you’ll pocket what you would pay in commission – which is a tremendous savings – if you do sell your home, the buyer knows that you’re saving commission, so they will probably negotiate for you to pay the buyer’s commission, so expect to pay around 3% of the purchase price to the buyer’s agent. And don’t forget that you’ll have to pay for a lawyer to review the contract. Selling a home takes time, and because you’ll be learning everything about the process on the fly, you can expect it to take longer. Because selling a home is so involved, with many steps, government agencies and procedures that have to be accomplished before the sale can be finalized, there are things that will fall through the cracks. Because you may not be able to advertise as effectively as a real estate agent, you’re going to miss some potential buyers. Also, some buyers may decide the best way to avoid any of the potential problems is to work with an agent and will avoid homes listed FSBO. It’s not that it can’t be done, but FSBO is a tricky, time-consuming and somewhat costly endeavor. Make sure to weigh the pros and cons before making the decision.